The council’s public business meeting is scheduled for February 20, from 10:00 a.m. to 2:45 p.m., at the Administrative Office of the Courts (AOC), 2860 Gateway Oaks Drive, Suite 400, in Sacramento. The council is holding its business meeting in Sacramento, rather than San Francisco, because the meeting will be preceded by a day of council legislative visits at the state Capitol. 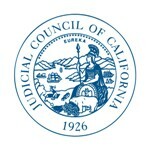 A live audiocast of the meeting will be on the California Courts website, and the agenda and reports are posted online. Superior Court of Kings County Applies for State-Level Reserve Funding: The council will consider recommendations and options on the Superior Court of Kings County’s application for supplemental funding related to the implementation of its new case management system. $35.2 million remains of the 2 percent state level reserve set-aside in the Trial Court Trust Fund for FY 2013–2014. By statute, the Judicial Council after October 31 and before March 15 of each year may distribute the remaining funds if there has been a request from a trial court(s) for unforeseen emergencies or unanticipated expenses for existing programs. The council then allocates to all courts after March 15 a proportionate share of any unexpended funds from the 2% state-level reserve. Funding for Criminal Justice Realignment, Court-Appointed Dependency Counsel, and Workers’ Compensation Liabilities: The council will consider a recommendation from its Trial Court Budget Advisory Committee to allocate $7.64 million in funding from the Trial Court Trust Fund and the State Trial Court Improvement and Modernization Fund for costs associated with criminal justice realignment, court-appointed dependency counsel, and the settlement of workers’ compensation tail claim liabilities. California State Auditor Report on AOC Procurement Practices: The council will receive and discuss a report released by the California State Auditor in December that is required to be performed to assess the implementation of the Judicial Branch Contract Law by the Supreme Court, Courts of Appeal, Administrative Office of the Courts, and Habeas Corpus Resource Center. The Auditor reported that although these entities are generally complying with the law’s requirements and with the provisions of the Judicial Branch Contracting Manual, they need to improve certain practices.